These calcites on sphalerite are from the Elmwood Mine in Carthage, Smith County, Tennessee, Ba-F-Pb-Zn District, Tennessee, US. This mine contains three shafts called the Elmwood, Cumberland, and Gordonsville. It has an entry slope called the Stonewall. 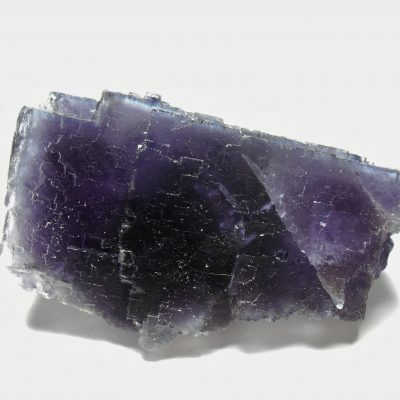 They contain eleven different minerals including sphalerite which is the main ore mineral. 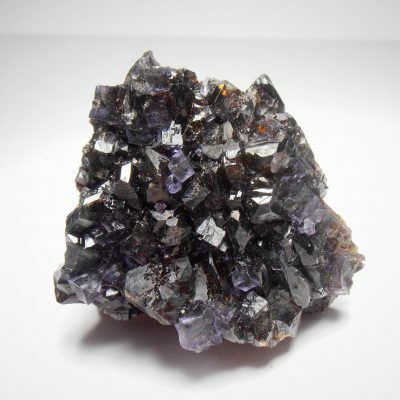 The calcite is a common gangue mineral associated with the sphalerite. 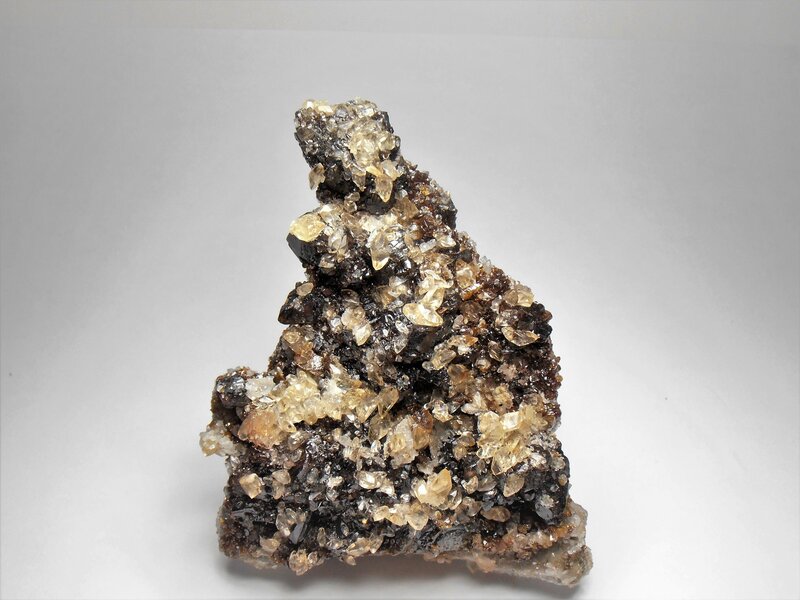 This specimen consists of a formation of a plate of brilliant complex sphalerite crystals that host small double terminated calcite crystals. This piece measures 3 3/8 x 2 5/8 x 1 inches or 86 x 67 x 25 mm.